The Engage IN-GAME campaign system can be used to personalize the game play experience for players at very specific points in their life cycle. The following tutorial shows how it can be used to send data back to the game client to allow the game to modify the difficulty level of specific levels if required. 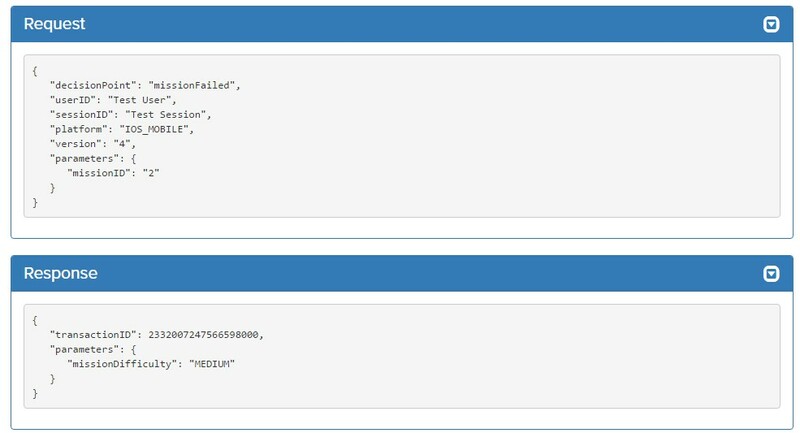 Each action contains a single game parameter and value that will be sent back to the game client in the Engage response. Once the actions (content) are setup the campaigns that deliver them to the player can be configured. There are four campaigns, one to deliver each of the actions. 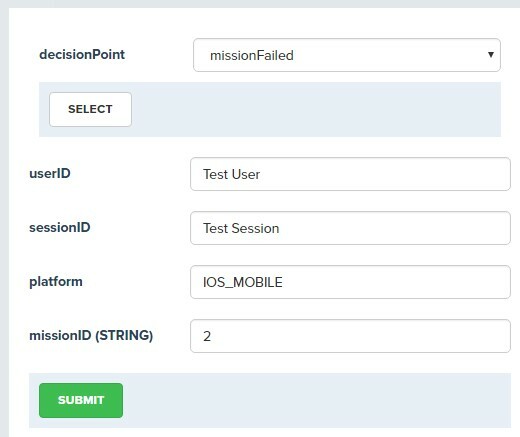 Each campaign uses the same “missionFailed” decision point but uses the value of a missionID parameter passed in the Engage request to determine which campaign should be triggered. The campaigns are prioritized with the DEFAULT campaign on the lowest priority to ensure that players revert to the default value if they don’t meet the criteria of any higher priority campaigns. The Engage Trace tool can be used to test and verify the campaign logic. It will submit data to the Engage IN-GAME campaign system and provide you with the details of the request and response. The trace tool will generate events that will appear in your event data and campaign reporting. It will also provide a detailed trace of each campaign in the cascade up to the point of a successful campaign response. Each campaign in the trace can be opened up to reveal more detail on the decision making process. The following trace shows the results when no missionID parameter is provided.